Okay, now the interviews are REALLY starting to come in. We're trying to keep them all organized so you don't have to go post by post in search of them. Part 1 // Part 2 (and there are some really good ones in those previous posts). Rob talks with STV about not understanding the plot of Cosmopolis. Click the screen cap to watch at the source. 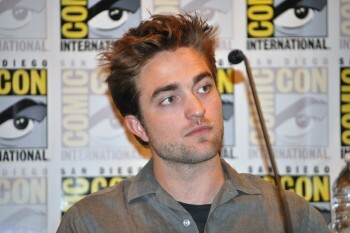 Rob talks Breaking Dawn Part 2 with Toronto.com - READ IT HERE. Shortlist (preview) - Rob talks about types of films he wants to do. READ HERE. Robert Pattinson returns to the big screen, but not like a vampire. The actor stars in Cosmopolis, the film by David Cronenberg that competes for the Palme d'Or tonight. Maria Molina spoke to him. Hi, we'll we've been with one of the most famous men of the moment, Robert Pattinson, who we remember for his vampire role in the Twilight Saga, and idolized by millions of teenagers. He now arrives with a completely different type of film. In Cosmopolis he plays a multi-millionaire who crosses the whole city in search of a haircut. Q: Why do you feel a connection with this character in Cosmopolis? 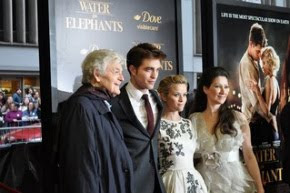 Rob: I thinks it's about someone who is looking for a different reality, the world that he has in front of him doesn't really exist and it's not the same as for other people. Q: How about the Hollywood world, is it also a kind of real world? Rob: The film industry, I love the people, I like them however they are. The fact that no matter how strange or how crazy.. they have a story to tell.